It’s really quite exciting to see the year-over-year increase in the number of excellent wines available to us that just happen to be kosher for Passover. Our 2018 selection is larger than it has ever been, which made our choosing the top three a bit of a challenge. 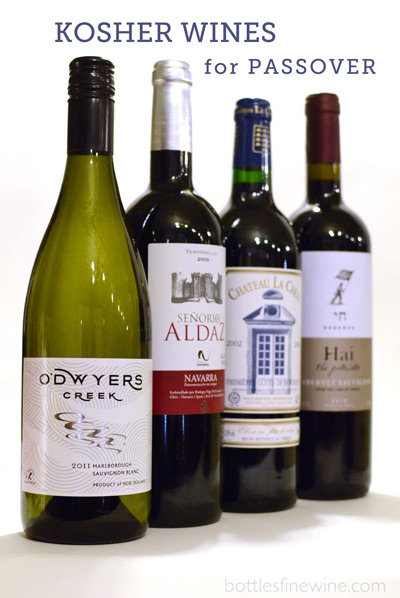 But we did it, and here they are: Our top 3 kosher wines for you this Passover season. Drop by the store to peruse our greatly-expanded kosher section, or call for a delivery anywhere in Rhode Island. We wish you a kosher and joyous Passover! This entry was posted in Learn About Wine and tagged kosher, passover on March 20, 2018 by bottlesfinewine. For some reason, it seems as if all of our guests are looking forward to the arrival of true spring weather this year more than ever before. We don’t have an in with Mother Nature, but we can certainly help you set a springtime mood with the wine you put on your table. Here’s what we think are the best of the bunch to do just that this year, as well as those that will be excellent at your seder. A great wine that just happens to be kosher for Passover, this Bordeaux blend is ripe with a bouquet of cassis and raspberry fruit, and a deep cocoa character. Made to drink with your brisket or lamb roast. These semi-sweet, happy bubbles pack a punch of bright green apple, but finish creamy and smooth with hints of vanilla. Wonderful with light appetizer fare for any spring festivity. A big, bursting, round and juicy chardonnay with an oaky backbone that lends tons of structure and depth. Serve chilled next to an overflowing platter of latkes or pan-fried potatoes. Looking for more kosher options? 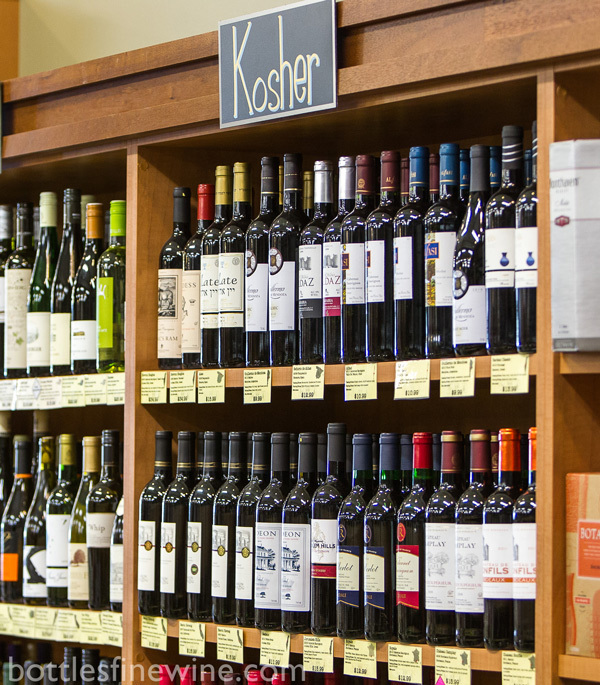 Come by or call the store to shop our expanded selection of over 75 seder-friendly wines. Pinot Blanc is a grape you need to try for its vibrant, round and fruity notes. The Elk Cove has a tropical fruit flavor tinge that is balanced by an underlying, subtle, lemon zing. We love this wine for its incredible food-versatility, especially with lighter fare. The grapes for the lovely Zorzal rosé were picked earlier than usual for this region, thus resulting in a wine with zippy acidity and a young (aka ‘green’) vibrancy. It’ll be superb with grilled or roasted meats & veggies, legumes and fish. Tune in next week for the remaining bottles on our Top 9 list. This entry was posted in Learn About Wine and tagged kosher, passover, pinot blanc, Seder, spring, wine on April 4, 2017 by bottlesfinewine. In selecting the wines we feature each Hanukkah, the first thing I consider is the same thing I think about when selecting any of the wines we sell at Bottles: taste. Does the wine taste good, will it fit my customers’ tastes. The second is how it will pair with a traditional Hanukkah menu. Will it enhance the flavor and textures of fried latkes and donuts, will it stand up to a rich brisket. Will it add to festivities and celebration at the table. Once a wine has hit those benchmarks, then and only then do I check to see if the wine is kosher. 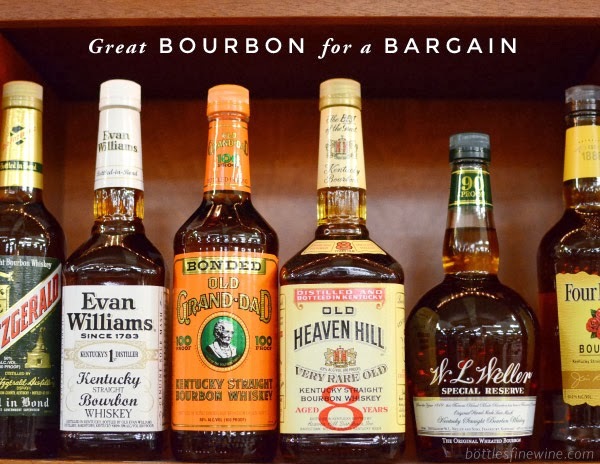 Here are my picks for wines that will be great for Hanukkah this year. It’s my hope that they’ll bring much joy and happiness to your Hanukkah table. This entry was posted in Learn About Wine, Wine Pairings and tagged hanukkah, israeli, kosher, latke on December 15, 2016 by bottlesfinewine. Don’t let your guests’ wine glasses run dry. Follow our handy guide to ensure you have enough for the 4 cups of wine for each of your Seder guests. Our math is based on each Seder participant having 4 cups of wine, each containing 3.3oz. Bottles is stocked with a huge selection of delicious wine from all over the world that just happens to be Kosher for Passover. Call or visit the store to let us help you select the best for your Seder table. Don’t forget: we offer generous case discounts, 5% back on every purchase, and statewide delivery! A special thanks to Rabbi Barry Dolinger of Providence, RI’s Congregation Beth Sholom, who double checked our information to ensure that it’s all …well… kosher. Thank you Rabbi Barry! Happy Passover from your friends at Bottles. This entry was posted in Learn About Wine, Other, Party Ideas and tagged kosher, mevushal, passover, Seder on April 13, 2016 by bottlesfinewine. Quality, delicious, well-priced kosher wine is available to us more so now than ever before – a trend we thankfully don’t see waning anytime soon. Below are the 3 we think would will be perfect on any winter table – kosher or not. An excellent value and a great example of the power and elegance that can come out of Spain. Loaded with black fruit flavors like plum and blackberries and chock-a-block with chocolate, pipe tobacco and cedar. Great with rich dishes like puttanesca or roast lamb. Some of the best wine to come out of Israel, especially at this price. Aging in French oak barrels for 8 months leaves a wonderful balance of vitality and softness. Pair with any red meat dish, especially a rich beef stew. A very charming lighter style red wine from the Beaujolais region of France. Silky texture and notes of red cherries and violets. This is a great wine for sipping with cheese and appetizers but would be excellent with roast chicken or salmon. This entry was posted in Learn About Wine, Party Ideas, Wine Pairings and tagged arfi, hanukkah, hanukkah wines, israeli wine, kosher, rioja, top kosher wines for hanukkah, wine on December 2, 2015 by bottlesfinewine. Over at O’Dwyer’s Creek in the heart of New Zealand Sauvignon Blanc country, a team of rabbinical students were given a crash course on winemaking, and entrusted with their own parcel of land to create a great Sauvignon Blanc. The wine with its cool climate varietal’s distinctive fruit flavors was so rewarding for the students and winemaker that they plan to return every year! Senorio Aldaz Tempranillo is a classic, full-bodied red wine from Spain that pairs well with braised chicken and olives. Enjoy the intense burgundy color, violet tones, lovely open fragrance, and aromas of ripe fruit. Chateau La Cheze is a traditional French chateau producing this impressive Bordeaux that is dry and earthy, pairing well with a leg of lamb and rosemary. Hai Reserve Cabernet Sauvignon from Judean hills in Israel has a nice hints of cherry and oak to compliment roast beef and vegetables. 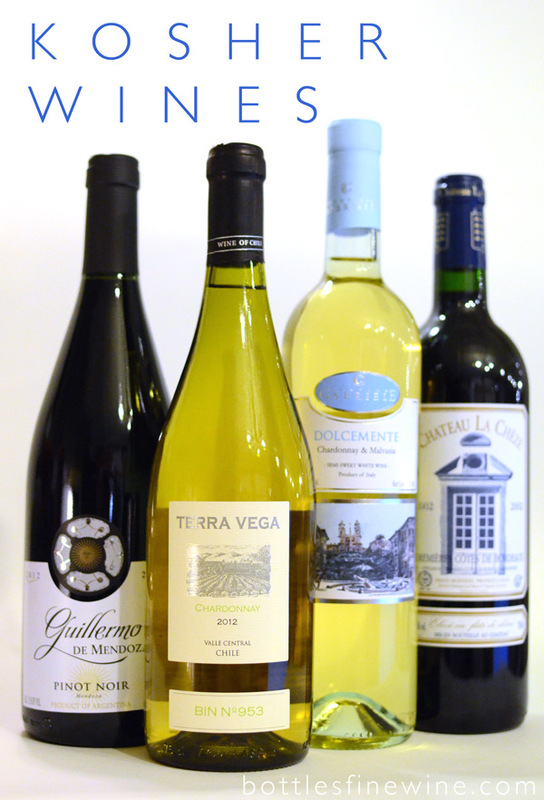 These are just a few examples of the diverse offerings in our Kosher wine section. Don’t forget something on the sweeter side for the haroset! This entry was posted in Learn About Wine and tagged brands, kosher, passover, red wine, types, white wine, wine on March 12, 2013 by bottlesfinewine. Kosher Wine recommendations for Hanukkah: Hanukkah is just around the corner, and the Bottles team is here to help you choose wines. 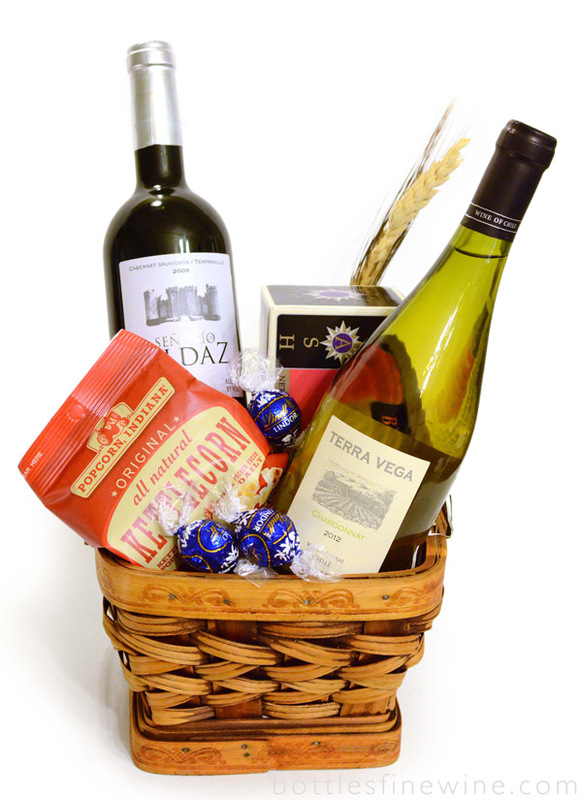 We have a wide selection of Kosher wines and unique gifts such as custom wine gift baskets and wine bottle etching! Stop by or order wine by calling (401) 372-2030 or emailing us at info@bottlesfinewine.com. Try Cantina Gabriele Dolcemente White, which is a blend of Chardonnay & Malvasia grapes and delightfully sweet and smooth. A perfect pairing for traditional latkes and applesauce! The Don Guillermo Pinot Noir is a lovely light & dry Pinot Noir that pairs well with roast turkey. Senorio Aldaz Tempranillo pairs well with pot roast with caramelized onions, and Chateau Chéze is a wonderful, dry, earthy Bordeaux that will impress without costing a fortune. For something a little more special, consider a Kosher wine gift bakset. Perfect gifts for loved ones, hosts and friends, we are more than happy to create custom gift baskets with special chocolates and treats, along with quality Kosher wines. This entry was posted in Party Ideas and tagged hanukkah, israeli, kosher, providence, rhode island, ri, wine, wine store on November 26, 2012 by bottlesfinewine.